There’s no sugarcoating it, I’ve got a big fat black thumb and have been responsible for sending a good number of plants to an early grave. It’s tough to remember what I need to do to take care of myself let alone remember what a houseplant requires. How much water it needs, how much light it requires, what temperature it prefers, what kind of music it likes, how it takes its tea in the afternoon… you catch my drift. Luckily, I have killed enough flora in my day to compile a list of 5 species even _I_ can make survive. 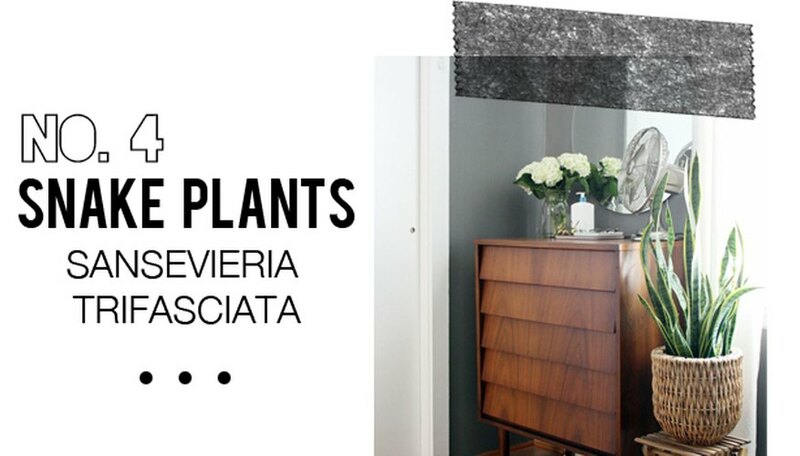 Here is my top 5 list of houseplants I use time and time again. I have owned three of these that have survived major neglect and a move — they weren’t even fazed. They are good-looking plants and can get massive if you cut back the leaves, but they do grow slowly. 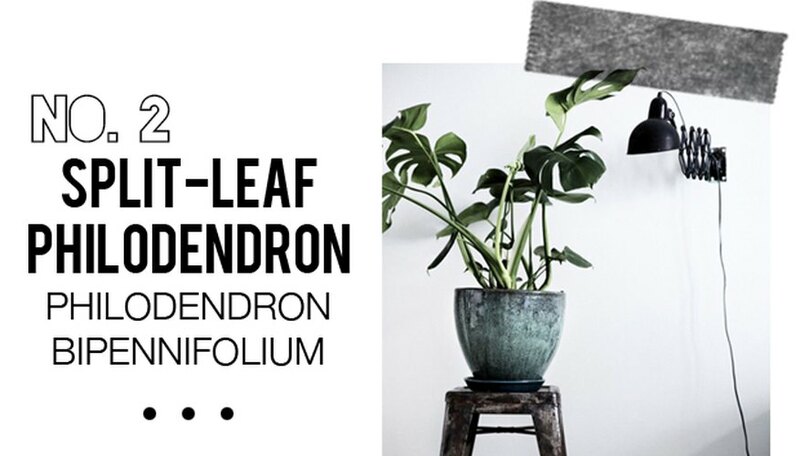 If you want a perfect little bookshelf plant that you can forget about and totally ignore, this is what I suggest. **Growing Conditions:** Low to bright light; 60-75 degrees. Allow the soil to dry between waterings. **Size:** 2-3 feet tall and wide. _FYI: This plant is poisonous if eaten or chewed on by children or pets so keep out of their reach_. There is a really beautiful sculptural and organic quality to this plant. It looks like it may require a lot of attention, but in all actuality it’s such an easy little dude to maintain. I have one in a basket on the floor in my dark dining room and I have yet to murder him. **Growing Conditions:** Medium to bright, but out of direct sun. Bright, filtered light is best. Plants in lower light tend to produce smaller leaves without splits or holes. Allow the soil to dry between waterings. **Size:** 4-6 feet tall and wide. I love the way the dark leaves look on this plant. Technically these can grown into trees, but if you keep them trimmed they will stay small and bushy. **Growing Conditions:** Medium to bright light; 60-80 degrees. Allow the soil surface to dry between waterings. **Size:** Up to 8 feet tall and 4 feet wide. _FYI: The milky white sap may cause irritation to people with sensitive skin_. This plant tolerates neglect extremely well. 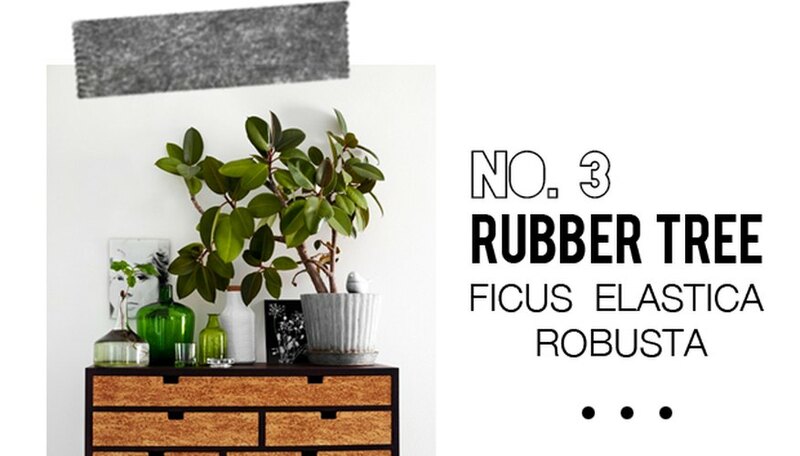 If your only success with house plants has been with the plastic variety, give the “snake plant” a try. These sculptural friends can kick it in low light but prefer brighter conditions. **Growing Conditions:** Low to bright light; 60-85 degrees. Allow the soil surface to dry between waterings. **Size:** Up to 4 feet tall and wide. 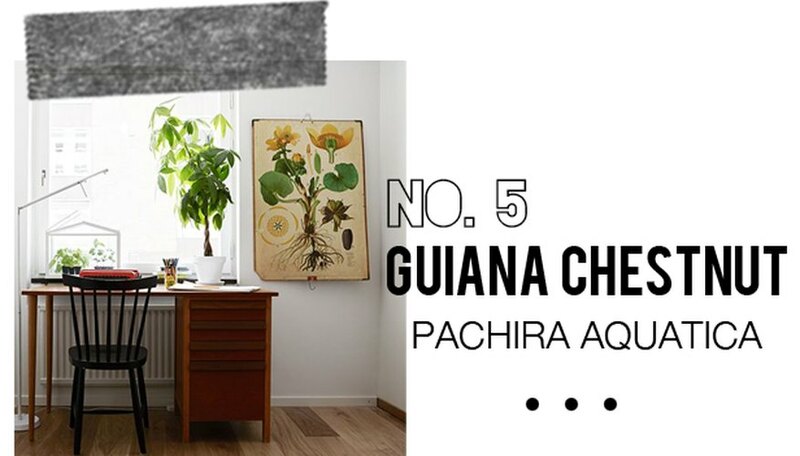 The Guiana Chestnut also known as a “money tree” is supposedly a sign of good fortune. Treat yourself to a money tree and maybe it will make it rain for you and yours. **Growing Conditions:** Indirect light or low light. 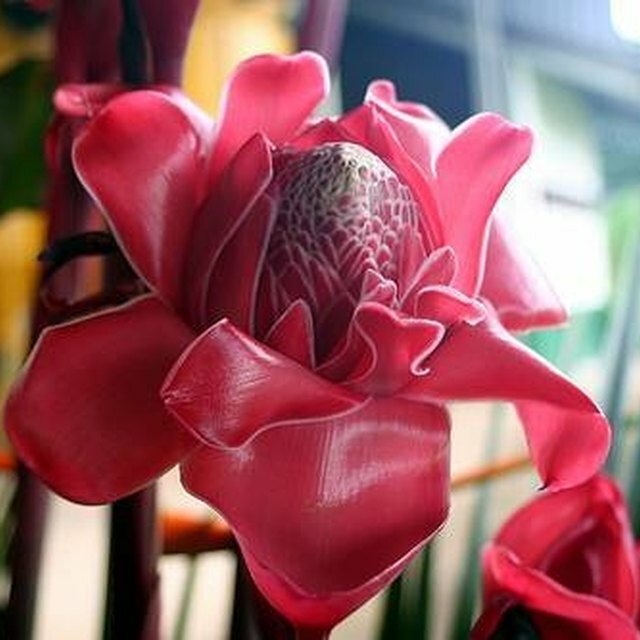 If the plant begins to yellow or wither, it needs more light. images via, (http://wwwpinterestcom/pin/2814818490305123/) // (http://yvonnekonecom/blog/) // (http://cargocollectivecom/tinahellberg/Green-Interiors) // (http://wwwfantasticfrankse/visa-bilder-hemnetphp?objekt=OBJ17365_1275869655) // (http://wwwpinterestcom/pin/444800900669135955/). 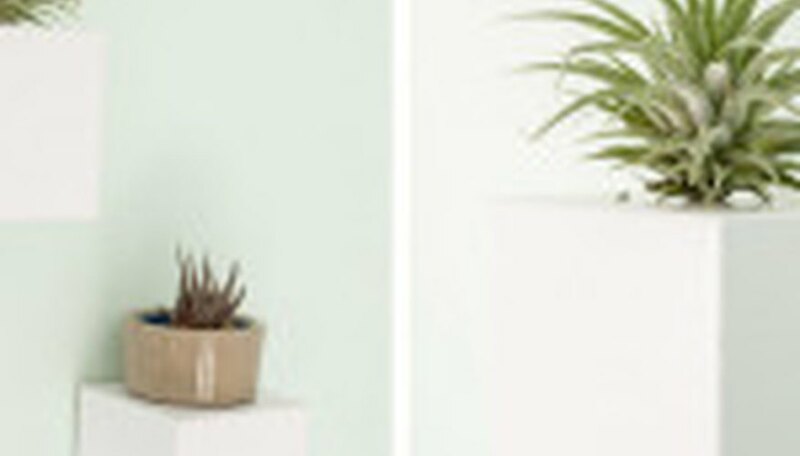 [Keep Plants Out of Reach from Kids, Cats and Canines with Contemporary Wall Holders](http://wwwehowcom/ehow-home/blog/keep-plants-out-of-reach-from-kids-cats-and-canines-with-contemporary-wall-holders/). [Create a Self-Sustaining Decorative and Edible Windowsill Planter](http://wwwehowcom/ehow-home/blog/no-garden-no-problem-create-a-self-sustaining-decorative-and-edible-windowsill-planter/).